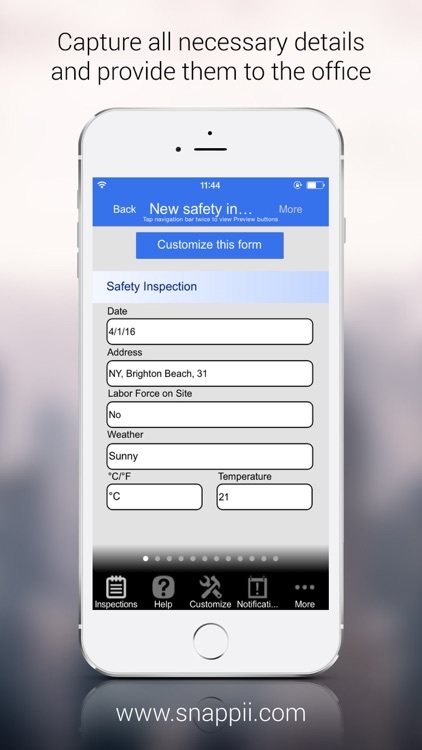 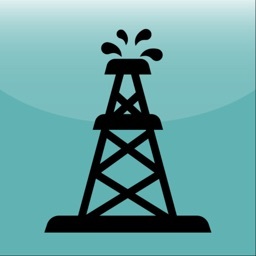 Safety Inspection app is created to meet safety needs of construction management companies. 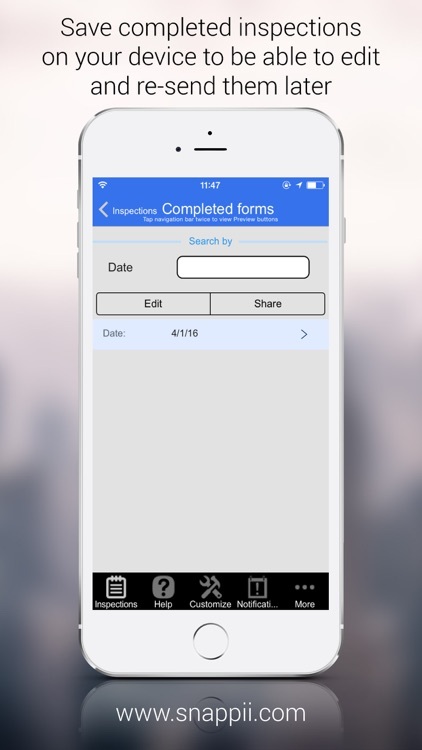 The app includes a checklist that might be used by inspectors to help them identify and prevent hazards and accidents on construction sites. 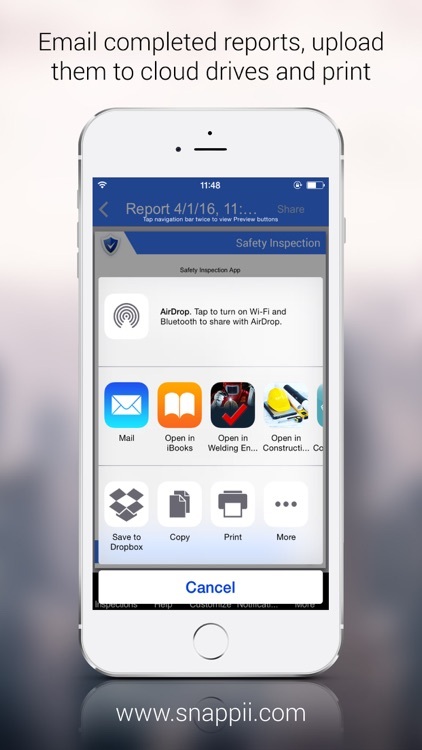 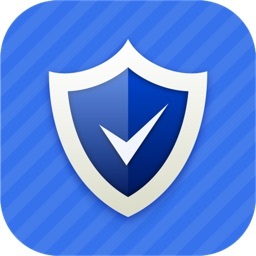 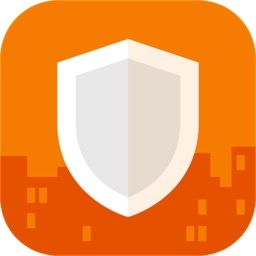 Safety Inspection app was created by Snappii and can be customized to fit your needs. 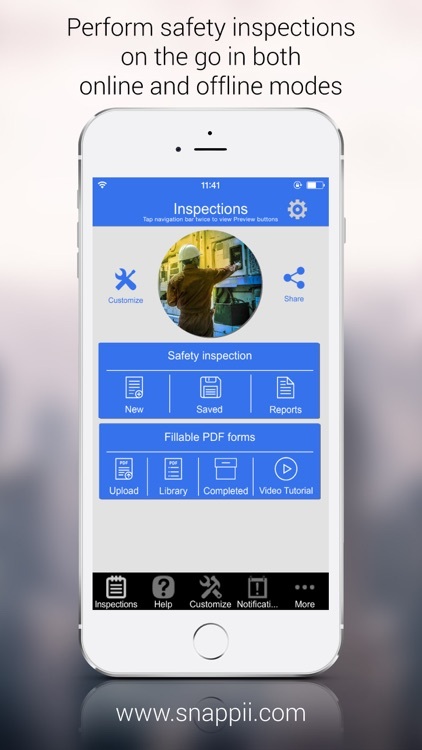 Safety Inspection app will save you lots of time, reduce inspection costs and improve app accuracy. 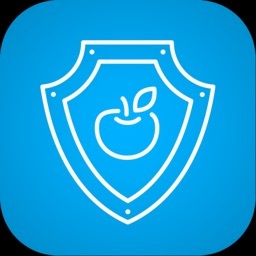 Contact Snappii today to get any business app you need! 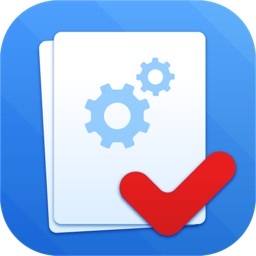 In addition to using free Workflow Safety Inspection App version you can get unlimited number of form submissions by subscribing via an optional In-App Purchase and remove all ads by purchasing onetime fee. 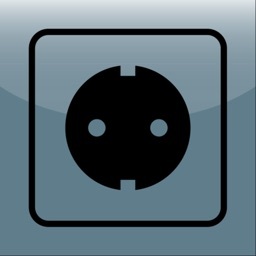 Subscribe from your device and access these services via mobile app.